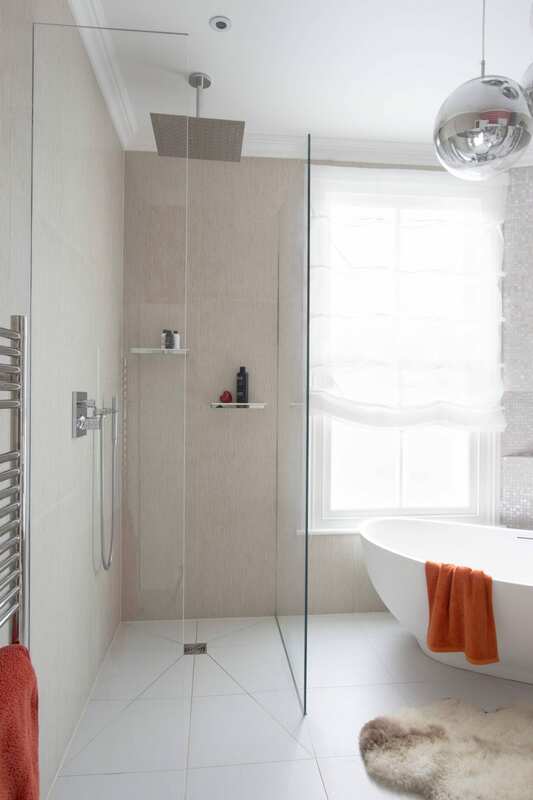 We opened up this former en-suite and guest bathroom to create a show-stopping luxury bathroom. 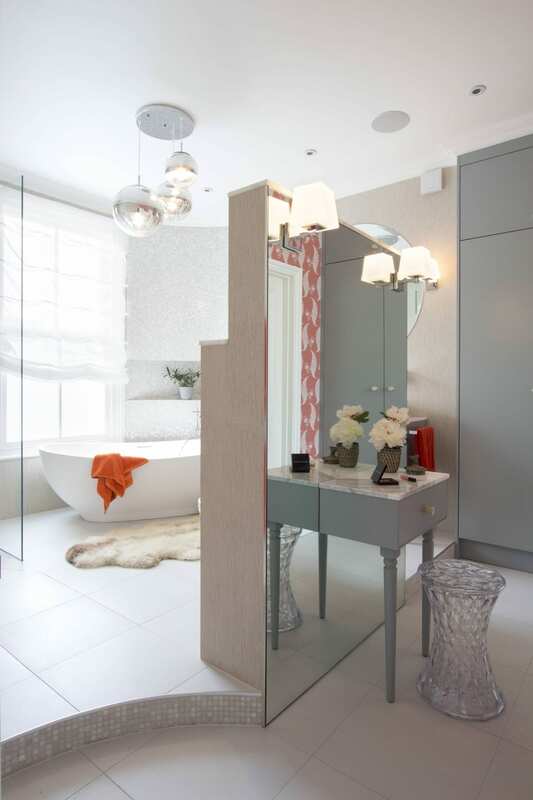 We installed a mirrored chandelier, walk-in shower, free-standing bath and large dressing area to create a simple, yet decadent space our clients could really enjoy. 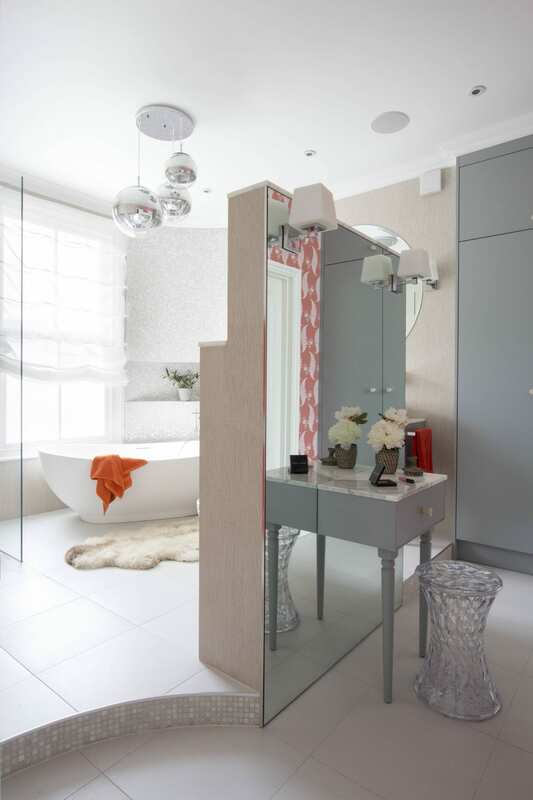 The makeup table and grand wardrobe are custom-made with gorgeous orange interiors. 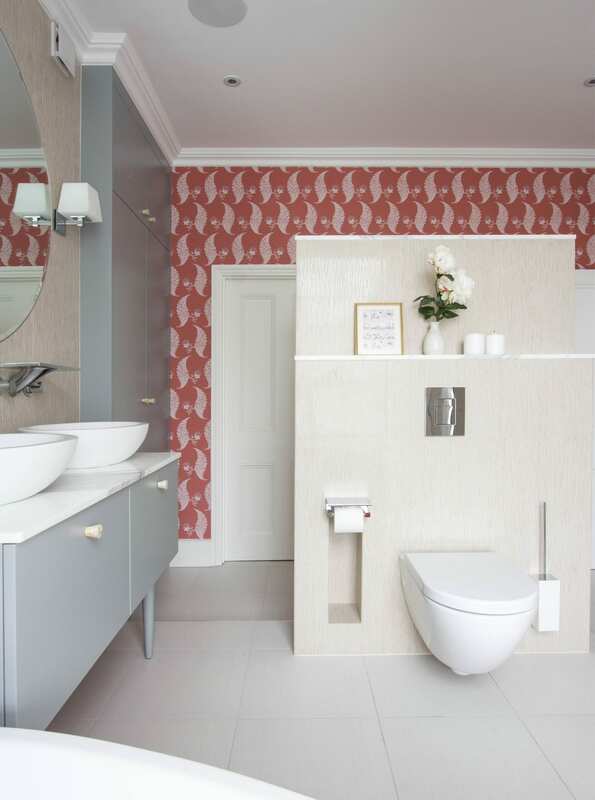 Beautiful wallpaper adds character and warmth to the dressing part of the room. We used gloss for the inside of the basins and satin on the outside, for easier maintenance.